FTP access to the ESPO Archive is not available at this time. We are working to upgrade the service to FTPS and expect to make it available again soon. 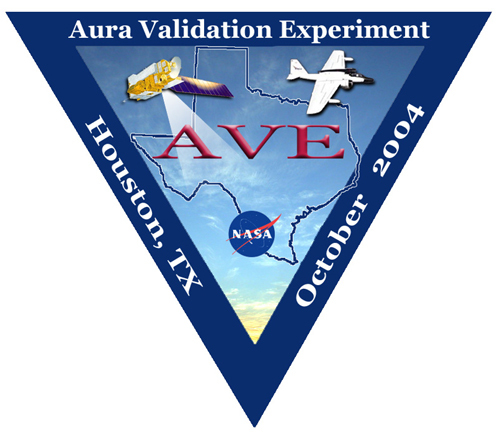 The Aura Validation Experiment (AVE) is a series of fields campaigns using aircraft and balloon flights to gather local atmospheric data which be used to validate remote measurements taken from the Aura satellite. The first campaign in the validation series takes place in October 2004 with a series of flights from the WB-57F High-Altitude Research aircraft. The AVE October 2004 field campaign mission, based at the Johnson Space Center, Houston, TX, will conduct a series of eight science flights in late October and early November 2004. The WB-57F aircraft will be loaded with a suite of eight in situ and three remote sensing instruments to collect data on atmospheric gases, such as ozone, methane, and water vapor, aerosols, and cloud physical properties. A total of 90 science and support personnel will be deployed for the four-week mission duration.